​You can choose the direction in which a wall or line will lengthen or shorten when manually edited. By default, a line or wall will change its length based on a simple rule. 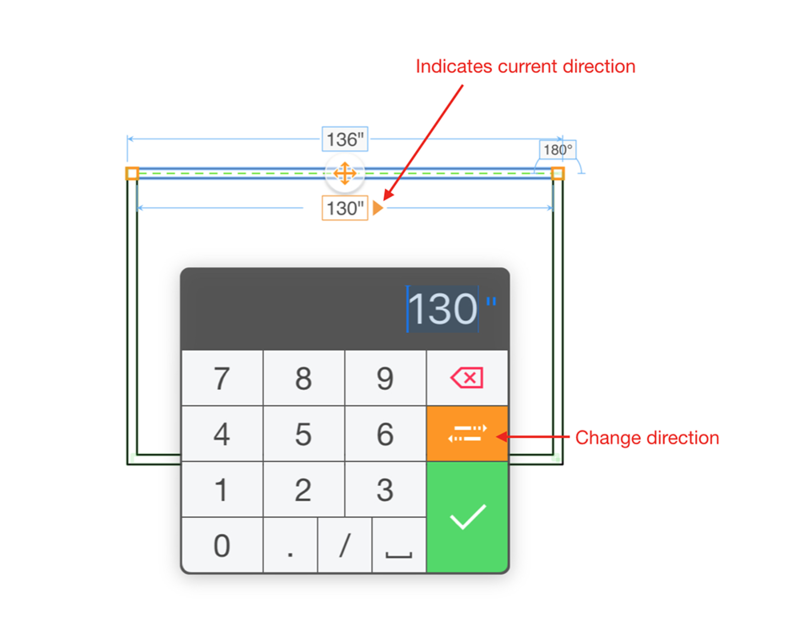 The initial point made is called the anchor point and does not change when you use the number pad to change the length. Instead the second / end point will. However you can change the direction as is shown below.